We make quality custom quilts from your favorite graphic t-shirts. 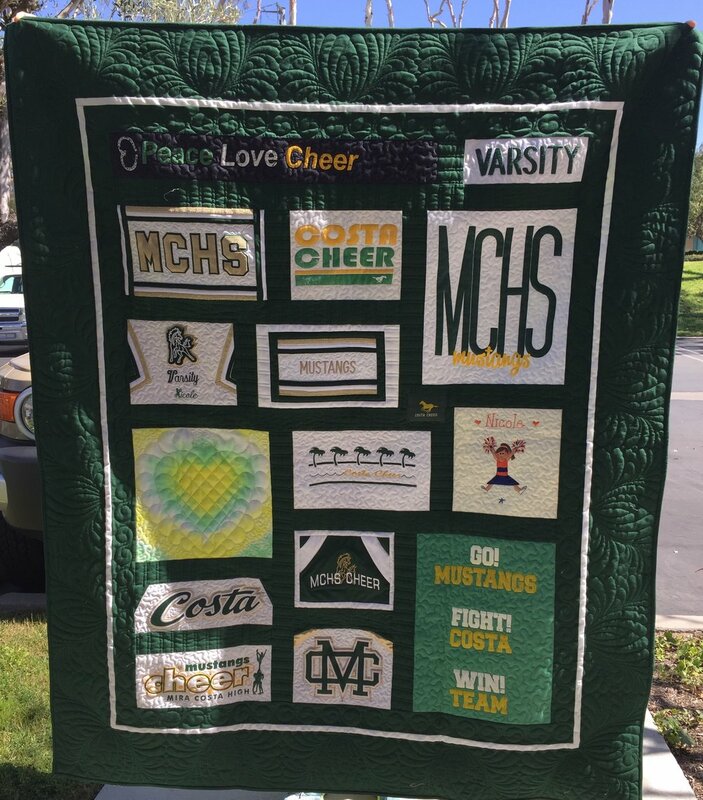 We also make memory quilts from sports jerseys, uniforms, Hawaiian shirts, and embroidered patches. If it can be sewn, we can make it into a quilt!